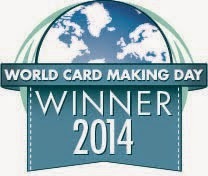 Hope you enjoyed your holidays! I spent a lot of time trying to play catch up on my scrapbooking! I didn't realize I was so far behind!! I think I finally finished 2013, so now I can try to catch up on 2014 before the new year ends (again!). 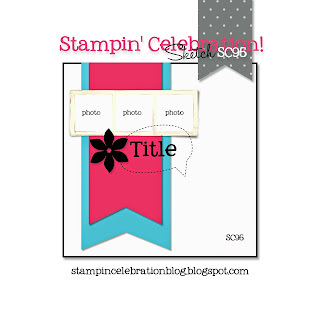 The Stampin' Celebration Sketch Challenge (SC95) helped me spark some creativity and drive to scrapbook. 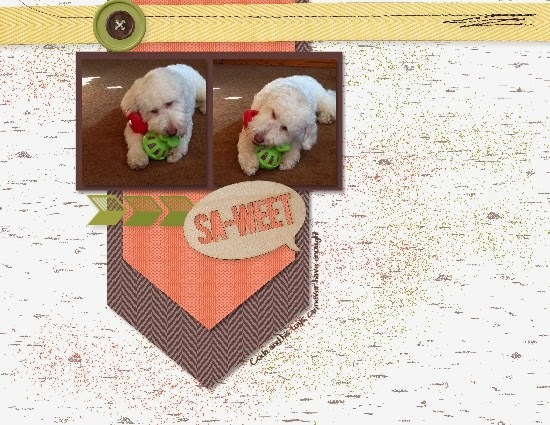 I mostly digital scrapbook now with My Digital Studio. So, once the computer is open, with a glass of wine next to me and a not so interesting movie on TV (or a show that takes place in Alaska that my husband is totally watching) I can scrap for hours with little mess and clean up! Love it!! I found a few pictures of our goldendoodle Coda hoarding some new toys so I thought I would use this sketch for this page. Unfortunately, I only had two pictures, but the layout still looks great! 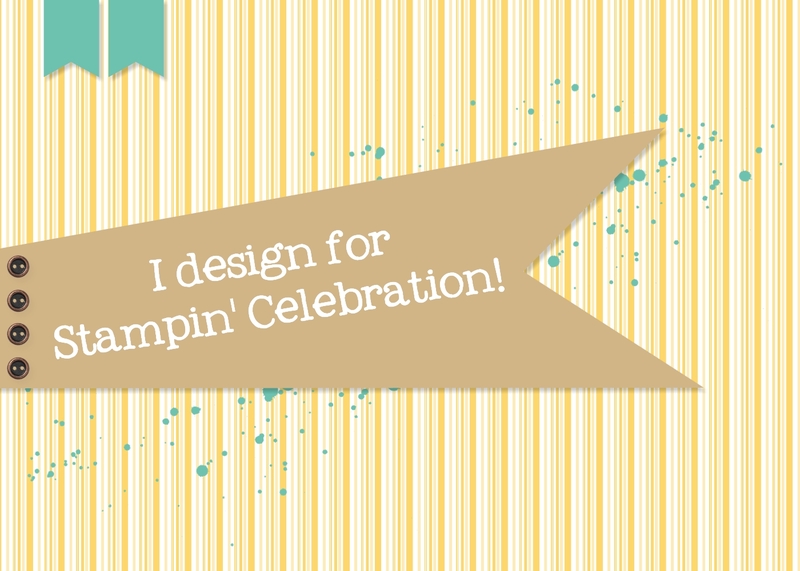 Hope you get inspired to do a little scrapbooking! This is so SUPER FUN, love the fuzzy guy!! !